Whenever the atoms are displaced in two separate planes perpendicular to each other then the defect so produced is known as screw dislocation. Fig a: represents an isometric view of a perfect crystal. 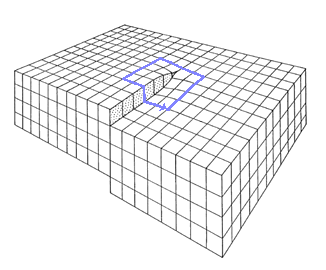 Fig b: shows the displacement of atoms appear like that of a screw or helical surfaces. 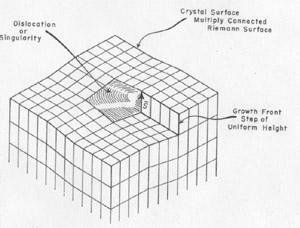 In this type of dislocation shear stresses are associated with adjacent atoms and extra energy is involved, along the dislocation. The successive atom planes are transformed into the surface of the helix of screw by this dislocation which accounts for its name as screw dislocation. A screw dislocation has its displacement of Burger's vector parallel to the linear defect but there is distortion of the plane.